At two plants in Michigan, General Motors is laying off people. At some of its other plants, it’s hanging out the Help Wanted sign. The difference between them is driven by a steep fall in gas prices. The plants where there are layoffs produce fuel-efficient passenger cars. The other plants produce pickups, SUVs and multipurpose vehicles. Climate change be damned; American drivers want their road monsters. A year ago, many industry analysts were proclaiming a dramatic and seemingly permanent shift to smaller, more fuel-efficient vehicles in a market where the mantra had traditionally been “bigger is better.” But such forecasts have flown out the window now that the price of gasoline has fallen to less than $3 a gallon in much of the country. Instead, demand for light trucks has been soaring in recent months, while small cars and, in particular, high-tech hybrids, plug-ins and battery-electric vehicles, have been tumbling off the sales charts. As fuel prices have fallen, so has the fuel economy of the typical new vehicle, despite mandates to improve it. Fuel economy hit record levels earlier in the year, according to the University of Michigan Transportation Research Institute, or UMTRI, which tracks mileage trends on a monthly basis. As recently as August, the average was 25.8 miles per gallon. It fell to just 25.3 mpg last month. 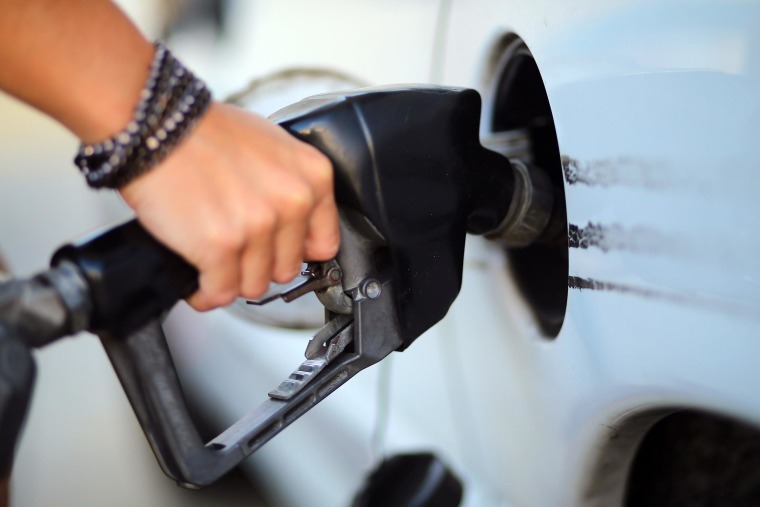 There has been “less demand for more fuel-efficient vehicles because of the decreasing price of gasoline,” noted UMTRI researcher Michael Sivak. For automakers, it’s a case of a glass half-empty or half-full. Small, fuel-efficient vehicles have rarely generated big profits, certainly not when compared to the likes of full-sized SUVs and pickups, such as the Chevrolet Silverado and Ford F-150 – the latter maker’s CEO Mark Fields this week noting the pickup is about the single biggest contributor to Ford’s profits. Ironically, Ford this week launched production of the 2015 F-150, an all-new version replacing its traditional steel body with one made of lightweight aluminum. The reduction of as much as 750 pounds mass should increase fuel economy by anywhere from 5 percent to 20 percent, according to Fields, once the EPA issues its formal test results later this month. When the truck was being developed, surging gas prices to record levels were expected to be a big draw for America's best-selling vehicle. But at $3 a gallon and falling, will potential buyers care enough to offset concerns about the new F-150's potentially higher maintenance and repair costs? General Motors, meanwhile, is launching a pair of downsized trucks, the new Chevrolet Colorado and GMC Canyon models, that also were aimed at buyers who needed a pickup with better mileage. GM’s global product development chief Mark Reuss said you cannot make long-term plans based on short-term blips. He stressed that despite the current respite, gas prices are certain to bounce back up again in the not-too-distant future. In the meantime, however, oil prices still haven't bottomed out, said the International Energy Agency in a new report that calls the decline in oil a "new chapter in the history" of energy. Reuss also sees the surge in sales of trucks and other, less fuel-efficient vehicles as more an aberration than trend, insisting there has been “a permanent change” in the public mindset against “wasteful” vehicles. UMTRI researcher Sivak noted that the decline in average fuel economy would have been much worse if not for the better mileage of even the biggest new trucks coming to market today. A diesel version of the Colorado pickup Chevrolet is planning is expected to get better than 30 mpg. US auto revival fueled by low gas prices? Not everyone is so upbeat. Some observers worry the industry will fall far short of tough new mileage mandates, such as the 54.5 mpg Corporate Average Fuel Economy target for 2025. "If consumers decide they don't want to pay the extra cost of a more fuel-efficient vehicle because it doesn't pencil in, it could make it difficult...to improve fuel economy and reduce emissions," said IHS Automotive senior analyst Stephanie Brinley. Manufacturers are finding themselves diverting some of the profits from the sale of those big trucks to prop up demand for more efficient vehicles – especially hybrid and plug-based models such as the Ford Focus Electric. The maker trimmed $6,000 off the MSRP of its compact battery-electric vehicle last month, on top of an earlier $4,000 cut. Compounding the industry’s challenge, manufacturers must also meet strict mandates set out by California regulators, including minimum sales targets for so-called Zero-Emissions Vehicles, such as the Focus Electric, the Tesla Model S and the upcoming hydrogen fuel cell vehicles Honda and Toyota plan to launch next year. Recent sales trends suggest that complying with the rules will be costly and difficult. So, while lower fuel prices may be great for the American consumer, the GM layoffs and the discounting of small cars and electric vehicles reveals the latest trend has its downside.